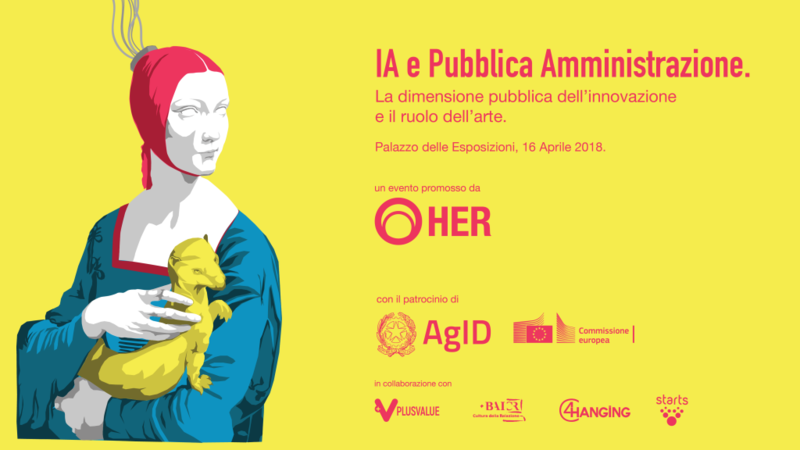 AI, Public Administration, Art and Design: a meeting and round table on April 16th (at 3:30pm) at Palazzo delle Esposizioni in Rome in which we will explore new opportunities for Artificial Intelligence and data driven economies, for a new season of Made in Italy which is able to connect to the social, psychological, economic and political challenges which we experience today through technology and networks. The trigger for this event comes from the whitepaper on AI in the Public Administration recently released by AgID through the work of its Task Force on AI. HER’s president, Salvatore Iaconesi, ha been part of the task force, and introduced the 9th challenge in the publication, titled “the Human Being” (“Sfida 9: l’Essere Umano”). The work of the task force can be accessed online HERE, and the whitepaper can be downloaded HERE. With the publication of the Whitepaper on AI by the national Task Force promoted by AgID (Agenzia per l’Italia Digitale), which indicates the guidelines for the introduction of AI in Public Administration and in the public services, Italy opens up a reflection on the existential, psychological, anthropological, cultural and social implications of AI, in its role of being the most advanced position in the evolution of the complex relationship between individuals, society and tecnology. 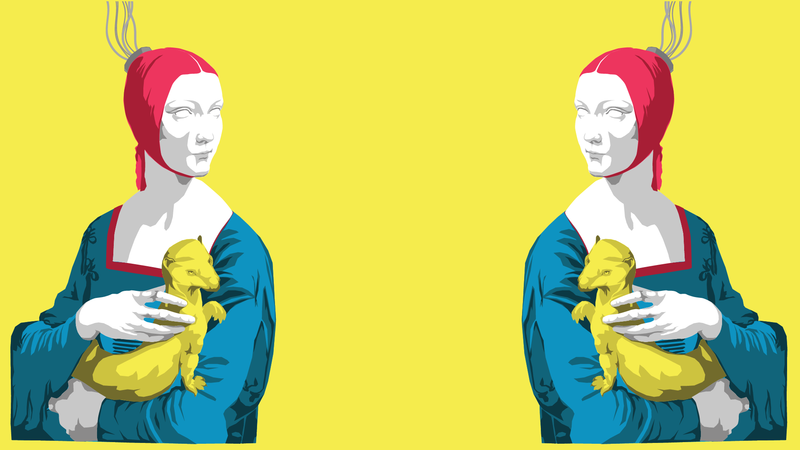 On the other hand, European programmes such as STARTS – Science, Technology and the Arts – are the expression of new sensibilities and vision, which have been able to bring to institutions the understandings of the ways in which art and design can assume the role of catalysers of scientific and technological innovation. Actors from research, public administration, institutions, cultural foundations and enterprise will converge in this event, engaging Italy and Europe. 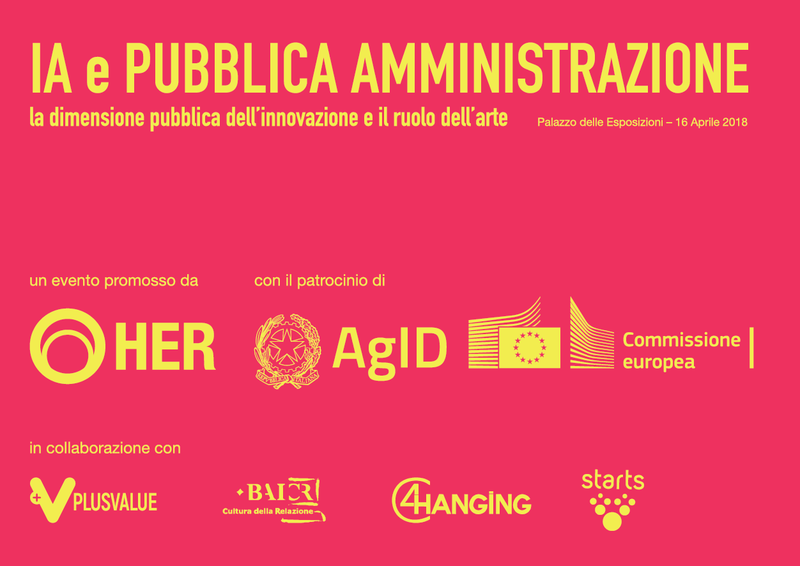 They will debate around the public dimension of innovation, and on the role of art, design and of humanistic disciplines, exposing the competitive advantage which is represented for Italy by the possibility to create innovation processes at the nexus of arts, sciences and technology. The event is held at Palazzo delle Esposizioni. This is particularly significative because the location is currently showing the “HUMAN+. Il Futuro della nostra specie” exhibit, which explores possible human futures through artworks with a distinct character of scientific and technological collaboration; the exhibit is open until the 1st of July 2018, and it also showcases one of our projects, GhostWriter.